UFO SIGHTINGS DAILY: Large cylindrical UFO captured over Mudgee N S W Australia 13 08 2016, UFO Sighting News. Large cylindrical UFO captured over Mudgee N S W Australia 13 08 2016, UFO Sighting News. 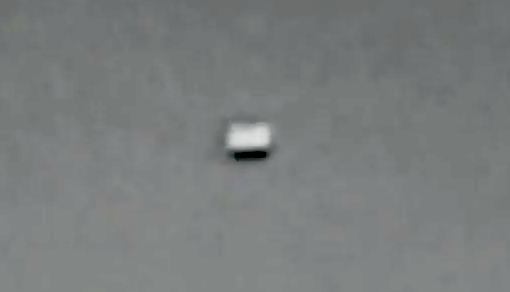 This rectangle UFO was seen by Anna Toth of Australia this week. It has no wings, not tail no jet engines of any kind keeping it flying, and yet, its there. This rectangle cube is moving at a steady speed across the sky, invisible to the naked eye, but Annas IR converted camera keeps an eye on it well.